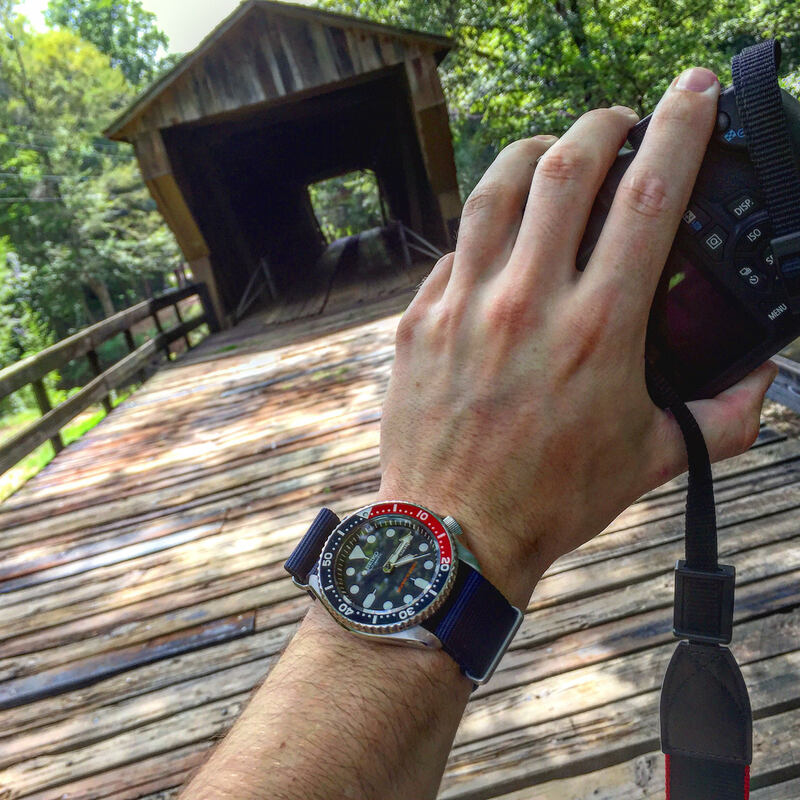 Holden is a cool guy, probably one of the most humble, down to earth and youngest collectors in the #watchfam. Holden is a collector who intensely treasures the sentimental element that vaguely comes along with this hobby, and like every aspiring collector or horological enthusiast, he simply appreciates, the time, the effort, the historical provenance and engineering that goes into the creation of a timepiece. In this hobby which is seemingly veiled with materialism and elitism, it is definitely a refreshing sight to see a young collector like Holden who still savors the sentimental value and the pure essence of this hobby more than anything else. It is our pleasure to have him featured in this 4th episode of #wristalk, enjoy. Watches are, like many other things, a way for a community to come together, make bonds and friendships, and have a good time in the midst of the world’s daily chaos. It all started one day when I was flipping through channels on TV and came across ShopHQ during a live Invicta presentation. I didn’t know much about watches then, other than the fact that I badly wanted one. After seeing that live airing, I was hooked; I searched high and low, visiting online watch forums like Watchuseek almost daily and from there, I was referred to HODINKEE, which I am now a daily reader of. My first watch was an Invicta 8928 automatic which is still in my collection. I did love that watch from the moment I got it, but after a few months the “honeymoon phase” was over and i started looking at other pieces. A two tone Invicta speedway was my second watch, immediately followed by a monochromatically steel Ocean Reef from Invicta. I believe watches have different sentiments to different people: for me, they’re functional works of art. Be they quartz, automatic, or mechanical; tourbillons, minute repeaters, chronographs, or time only pieces, you know someone had to put effort and thought into every single one that’s ever been, or ever will be made. 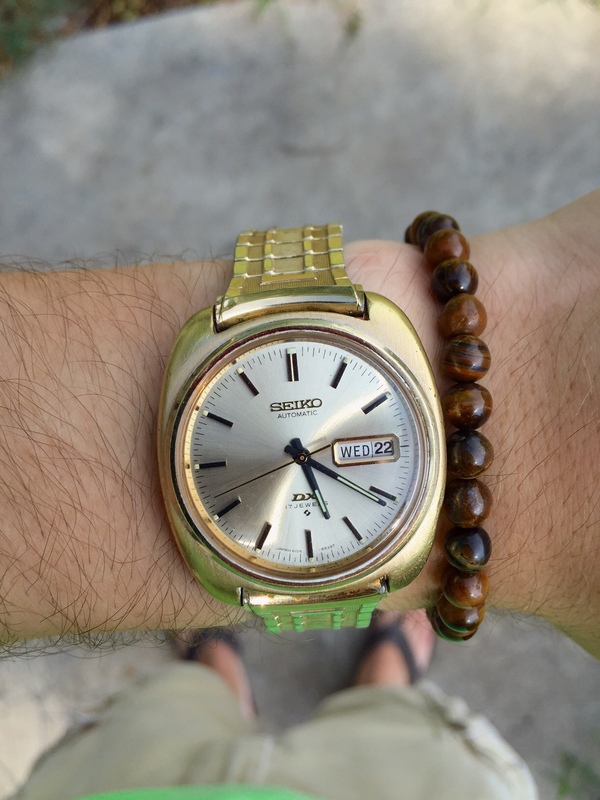 Watches aren’t fashion statements like the general consensus of the modern era seems to believe. 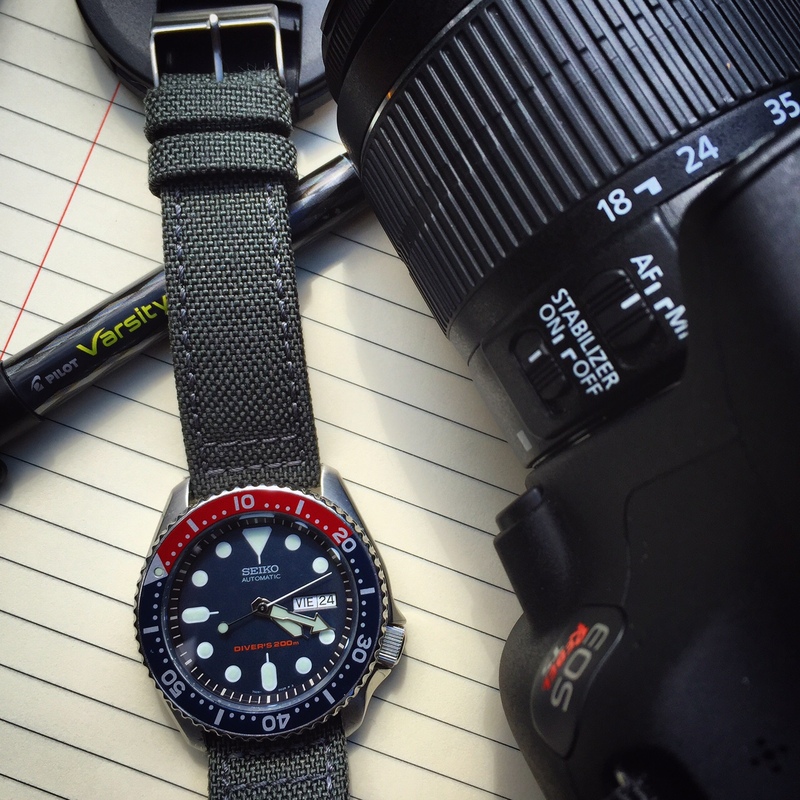 Watches are, like many other things, a way for a community to come together, make bonds and friendships, and have a good time in the midst of the world’s daily chaos. Currently there is no primary focus of my collection; I’m a person fond of buying what I like if it is within my means. My collection currently consists of two automatic watches from Invicta: 8928 and 8926C, two automatics from Seiko: the cult classic SKX009 and a cushion case vintage Diashock that I am almost ashamed to say I know next to nothing about, one manually wound Seiko Sportsman from 1971, my prized possession 1950’s Omega Seamaster, and finally, a blue dial mirror polished Invicta Speedway. My aim is to downsize all of the pieces I do not wear on a regular basis: my 8928, 8926, and Speedway, in order to make room for a few watches on my list, like the Steinhart OVM with the original black dial and if I can hopefully find one in good condition, a gold Omega Seamaster from the 60’s. So to more directly answer: my current focus is vintage watches. The last watch I bought was a cushion case automatic Seiko Diashock with quite a bit of patina on it, and by patina I mean some chipping in the sides of the case and a crystal that was so scuffed up, you had to squint to make out the name on the dial. So I took it home, did quite a bit of rough polishing and buffing on the case itself and about an hour’s worth of buffing the acrylic crystal. The end result was a watch that looked 15 years newer. However, I believe I’ll be listing it on eBay very soon. 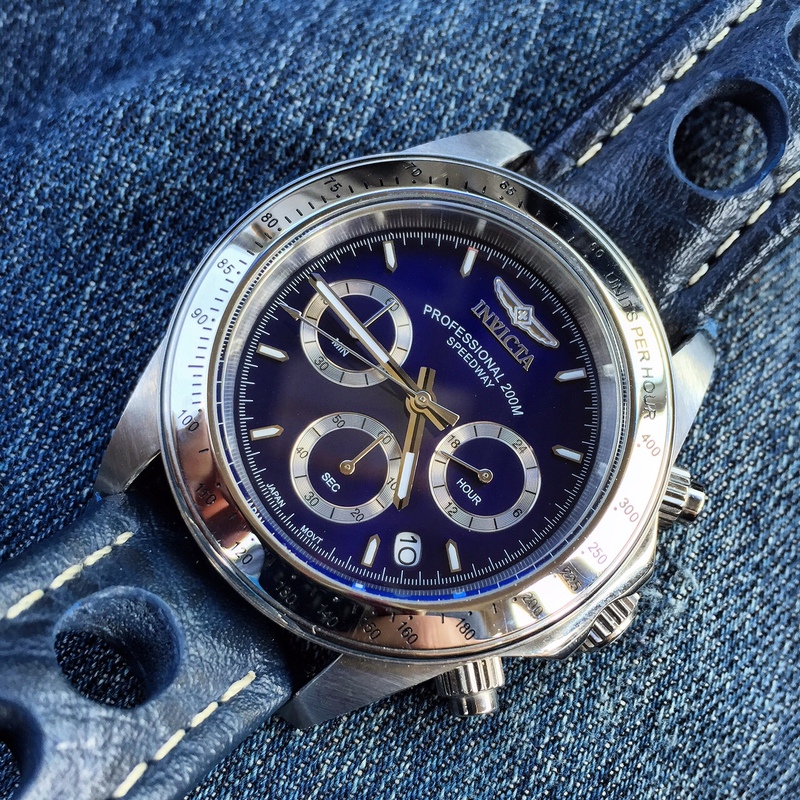 My favorite watch in my collection is my Omega Seamaster. 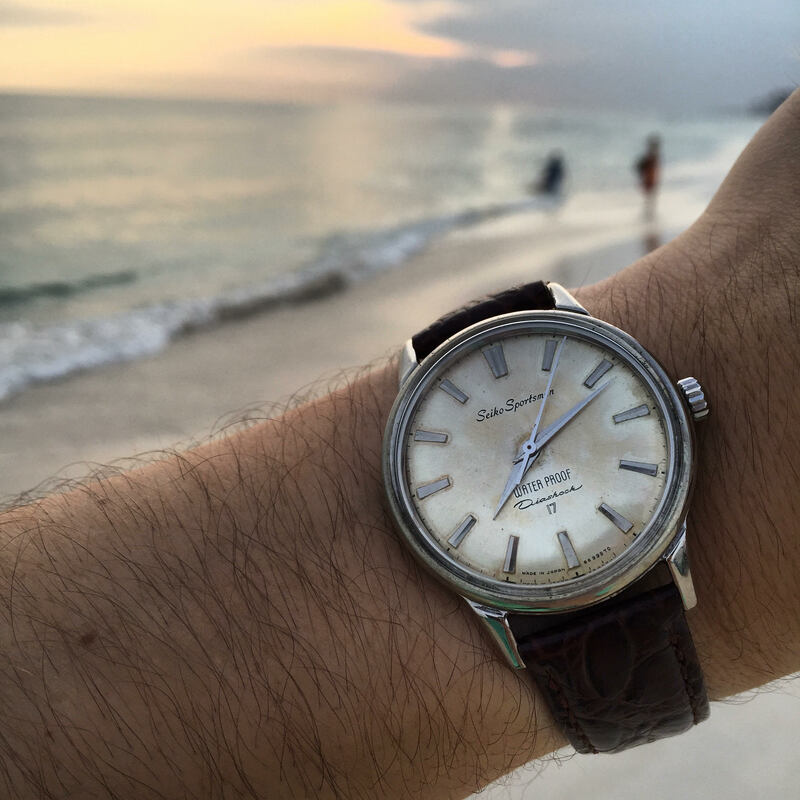 I’m a lover of just about anything vintage and the history, heritage (being that it was my grandfather’s watch), sentiment, and the fact that it is downright gorgeous, make it an enjoyable piece for me to own. Should I ever have children, it will be a watch I will pass down to my grandson proudly. 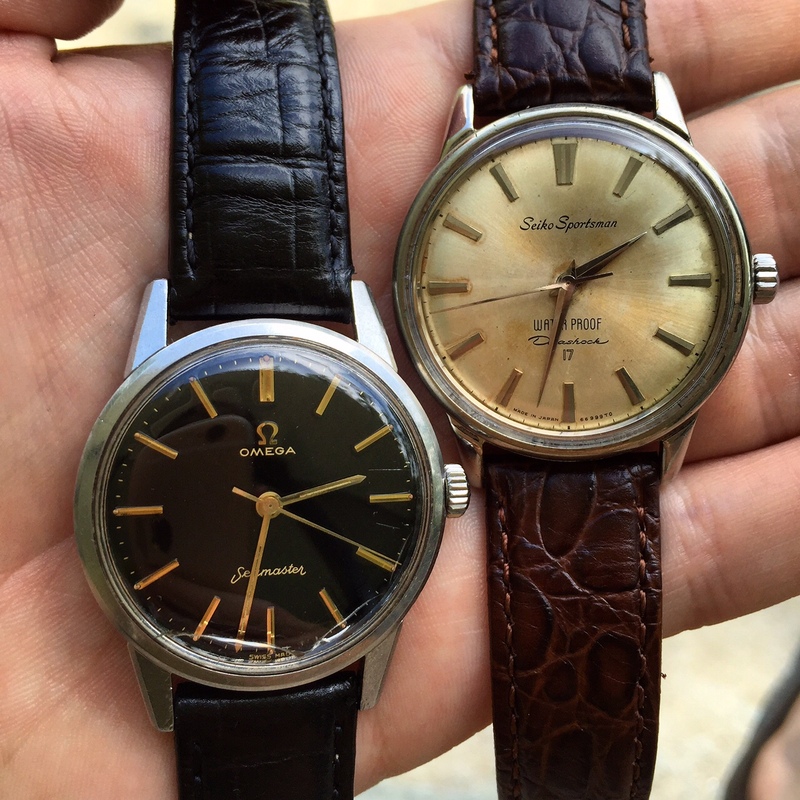 Holden’s beloved Omega Seamaster gifted by his grandfather, which has a Cal. 285 movement. The most interesting piece I’ve ever found, was a children’s manually wound Mickey Mouse watch by Bradley that was about the size of a nickel. I paid five USD for it in a small antique store in my hometown and to my utter surprise, it ran perfectly and kept time to the minute! I still own it and have thought of selling it, but it is just too fun of a piece to look at every now and then. 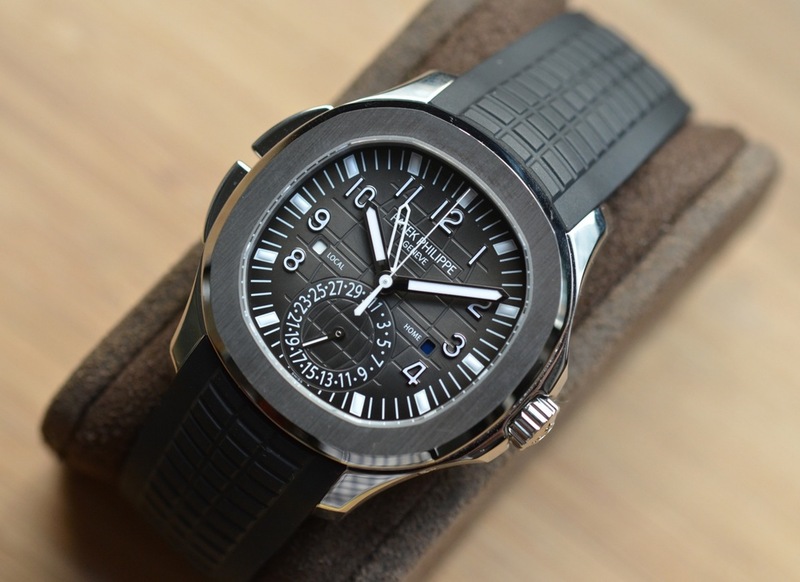 My dream watch above anything else, is the Patek Philippe 5164A. If it happens to be my good fortune to someday own that watch, I honestly believe that would be the end all, be all for me. On pure aesthetics alone, I could drool over that watch and the fact that my favorite music artist owns one, (hint: he’s a guest columnist for HODINKEE) and with a Tiffany and Co. dial as well, is just icing on the cake.